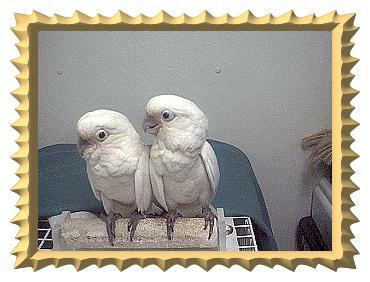 I have been breeding parrots and specializing in Macaws, Cockatoos, Amazons, and Cockatiels since 1987. I have developed this web site in order to help you know my babies better, educate the public in the care and understanding of these amazing , intelligent companions. Information will be posted as it becomes available for next years BCV. Copyright � 1998 Phares Aviaries.